“There will be a large march/demonstration between 2 PM and approximately 8 PM, sponsored by various organizations and committees against the Italian Government, the “Salvini Decree” and racism,” said a State Department email alert. 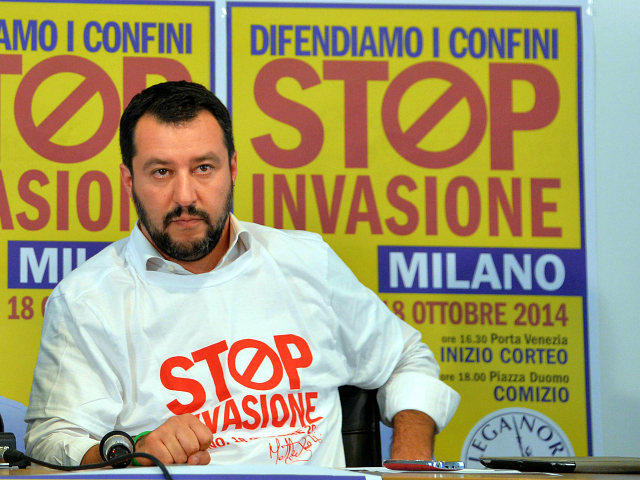 The “Salvini Decree” on security and immigration, named after Interior Minister Matteo Salvini, refers to three-part legislation addressing (1) asylum and citizenship, (2) security measures against organized crime, and (3) the administration of good confiscated from the mafia. Not long ago, a group of violent alt-Left protesters blocked a railway station and attempted an assault on Mr. Salvini in the northern Italian city of Trento. The protesters, described by local media as “anarchists,” many of whom were wearing hoods to hide their faces, laid heavy chains across train tracks at the Trento station to block trains, and threw paint across the windshield of a locomotive. The Catholic Church establishment in Italy has been waging a crusade against Mr. Salvini ever since he took office. Reports suggest, however, that there is a growing divide between rank-and-file Catholics and local hierarchy, particularly on matters of immigration. The German daily Die Welt reported in August that Mr. Salvini was becoming the secret leader of Catholics in Italy because of his firm stance on immigration, while fewer and fewer Catholics supported Pope Francis’ call for greater openness to migrants. Among the faithful who attend Mass at least once a week — approximately one third of all Italians — support for Salvini had doubled in four months, from 15.7 percent in March to 31.8 percent in July, Ipsos found. According to polls, Mr. Salvini is the most trusted politician in Italy, which has earned him the title of “superstar” among the Italians. The support of a broad swath of the Italian people has fueled Salvini’s willingness to stand alone against pressures within Italy and from the European Union on questions of immigration.